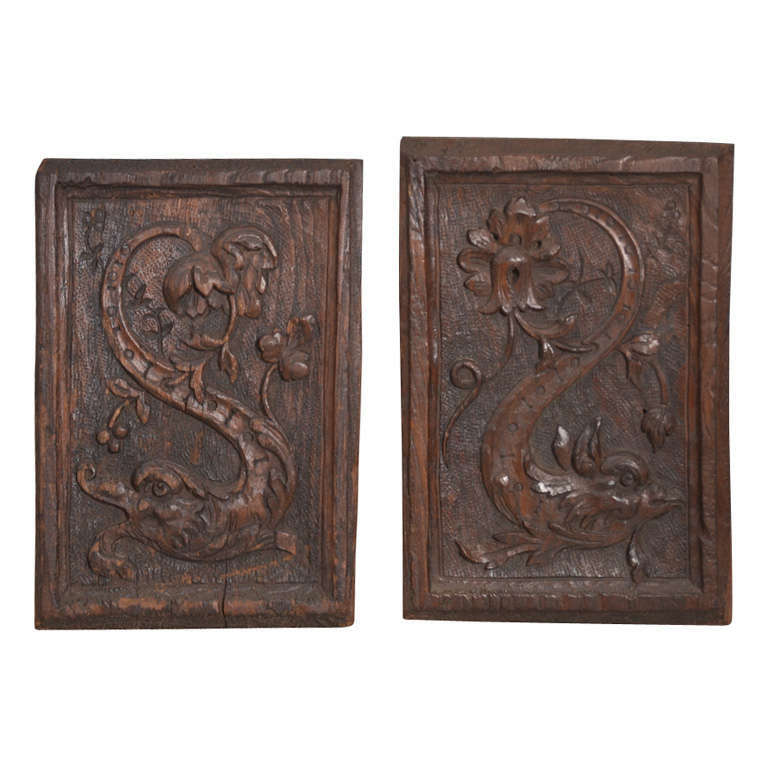 This beautiful Big Fish Oak Wall Panels were carved by hand in the 17th century in France. They were probably from an old furniture door. These fish have shown a clear influence of the French early eighteenth century. $750 for the entire lot.